Join us for one of the most spectacular shows on Earth, The Big Island Volcano National Park and Rainbow Waterfalls Tour. 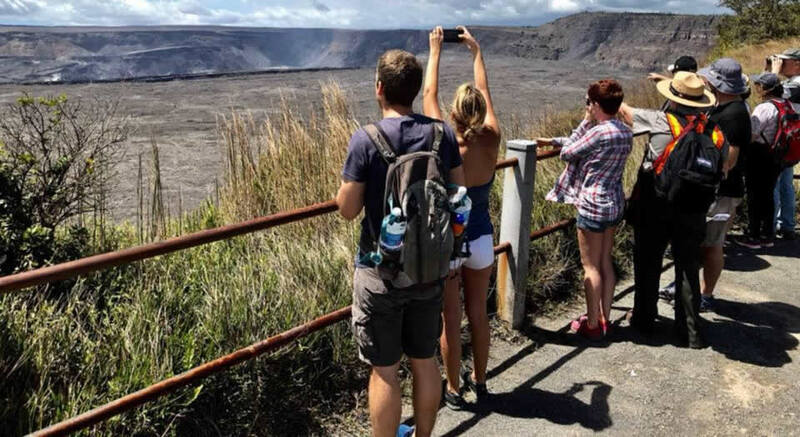 This is a tour that combines the very best of Hilo, Hawaii, taking you to a beautiful cascading waterfall, black sand beach and the largest most active volcano in the world, the Kilauea Caldera. The Kilauea Caldera is a massive crater encircled by plumes of sulfuric smoke, and the signs of lava destruction are everywhere. Note: The lava flows are constantly shifting, and we will take you as close as we possibly can to see them. 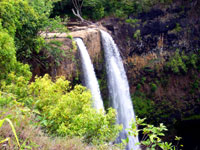 On our Big Island Volcano and Waterfalls tour you will visit this volcano giant at the Big Island Volcano National Park. IMPORTANT UPDATE 2018: Our Volcano giant was erupting in during the summer of 2018, which had closed the National Park. The eruptions have subisded and the park with be reopened to visitors starting on SEPTEMBER 22, 2018! 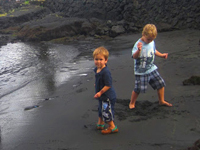 Next, we will visit a black sand beach, a phenomenon that exists only near Volcanos and take in the beauty of Hawaii's exotic flora and fauna at botanical and orchid gardens. 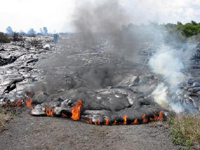 On this tour, you will experience first hand the amazing affects this volcano has had on the Big Island of Hawaii. From lush, green and vibrant botanical gardens and cascading waterfalls, to vast lava fields and the plumes of smoke rising from the volcano, this is an impressive experience you will find no where else in the world. 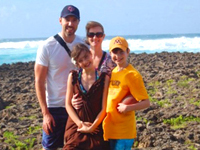 PRIVATE TOURS can also be organized just for your family or group. Please click here for more information on Private Tours. Number of Passengers: A value is required.Invalid format. All transfers, inlcuding Cruise Ship Terminal, Hilo Hotel or Hilo Airport Drop off at the end of your tour.